The Ending Of The Fraud Loss Era. The focus on the security of card-based payments has increased significantly across the world to prevent card fraud losses incurred by banks. According to Capgemini, the worldwide value of fraud losses reached $16.3 billion in 2014. In this regard, payment service providers and merchants have implemented various solutions including the Payment Card Industry Data Security Standard (PCI DSS) compliance, EMV technology, 3-D Secure services, tokenization, biometrics and end-to-end encryption. To combat the constantly evolving card fraud methods, the National Retail Federation (NRF) also updates its security guidelines continuously. CARDS MARKET TO REACH $324 BILLION BY 2020 ACCORDING TO THE BUSINESS RESEARCH COMPANY. 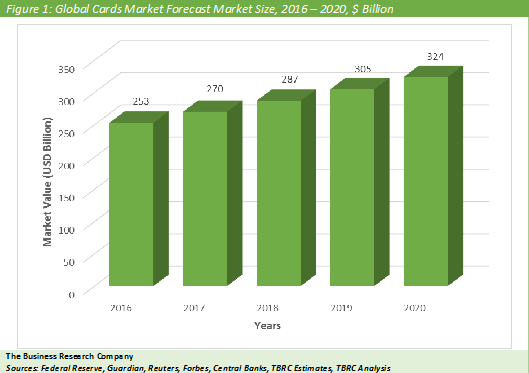 The Business Research Company expects the cards market to grow to $324 billion in 2020. The Americas was the largest geographic market in the cards industry in 2016, accounting for two thirds of the global market. This can be attributed to high digital payment penetration in countries such as the USA and Canada. According to The Business Research Company’s Financial Consultant, Girish Kavali, the demand for prepaid cards is growing across the world. This growth is primarily because prepaid cards support the financial inclusion of unbanked consumers by allowing them to make electronic payments. Prepaid cards also provide a cost-effective alternative to cash and checks, and can be used for gifting, travel and payroll purposes. Prepaid cards are either open-loop or closed loop. While open-loop prepaid cards can be used at any merchant or ATM, closed loop prepaid cards can only be used at a particular retail outlet or a group of participating merchants. Cardholders cannot exceed the amount of the funds loaded on a prepaid card. According to MasterCard, the global open-loop prepaid card market is expected to reach $822 billion by 2017. American Express Company was the largest competitor in the cards and payments industry with a revenue of $22.0 billion from the cards division in the financial year 2015. The growth strategy of the company is to make efficient investments by evaluating the investment opportunities using big data analytics technology. The company also decided to focus more on its prepaid products that will generate incomes that can be directed towards other parts of the business. The cards market comprise establishments engaged in storing, processing and transmitting payment cards data. This market covers issuing and acquiring banks, card processing and issuing companies and others. Revenues generated from the cards market include all processing and service fees levied by banks and financial institutions for processing card-based payments. It excludes interest charged by banks on payment cards. The figure below shows the year-on-year growth of the global Cards market during 2016 – 2020. The cards market broadly consists of the following: Debit Cards are payment cards that are linked directly to a customer’s bank account and can be used to make purchases and withdraw cash. 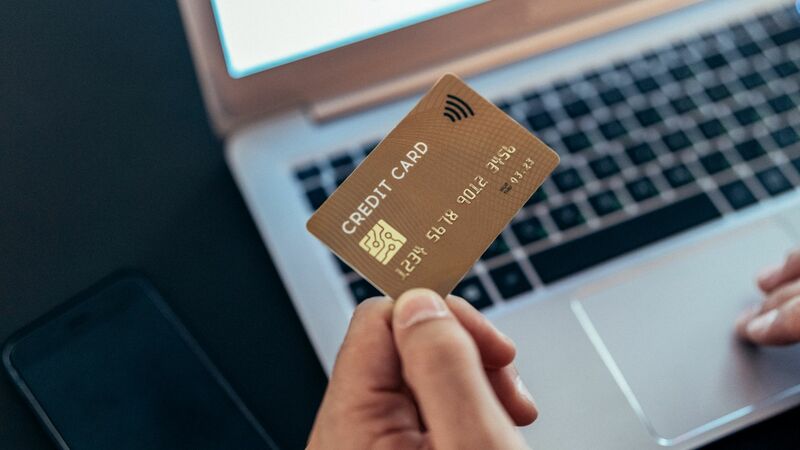 Debit cards usually have daily purchase and cash withdrawal limits and transactions made via these cards appear on the accountholder’s bank statement each month. This market excludes cash withdrawals through cash dispenser. Credit Cards are payment cards issued by banks and financial institutions that can be used to borrow funds. Credit cards are mostly used for short-term financing of consumer goods and services. The credit limit is preset depending on borrower’s credit rating and credit cardholders are charged an interest each month by the credit card provider. Charge Cards are similar to credit cards, but do not have any preset credit limit. Cardholders are not charged any interest, and are required to pay the outstanding balance in full upon receiving a statement. Prepaid Cards are preloaded payment cards issued by financial institutions that can be used to make both online and in-store payments. Once the amount loaded on the card is used, it may be disposed (non-reloadable prepaid card) or reloaded (reloadable prepaid card) by the cardholder. Prepaid cards may be open-loop or closed-loop. While an open-loop prepaid card can be used at any locations accepting cards, a closed-loop prepaid card can only be used at certain locations such as a specific store or a group of stores. Cards Global Market Briefing is a detailed report giving a unique insight into this market. The report is priced at $750 for an individual user. To use across your office the price is $1500 and $2000 if you wish to use across a multinational company. About The Business Research Company Visit TheBusinessResearchCompany.com, mail info@tbrc.info or call +447443439350 or +918897263534 or +919160996838 for more information on this and many other titles. The Business Research Company is a market research and intelligence company, which excels in company, market and consumer research. It has research professionals at its offices in the UK, India and the US as well a network of trained researchers globally. It has specialist consultants in a wide range of industries including manufacturing, healthcare, chemicals and technology. The Business Research Company's management has more than 20 years of varied business research experience. They have delivered hundreds of research projects to the senior management of some of the world's largest organizations.